This dress and coat outfit from Linea Raffaelli would be a chic and elegant choice for a Mother of the Bride or Groom to wear to a wedding during colder months. 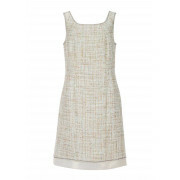 The stylish dress is styled with a sleeveless pencil shape and classic knee length. 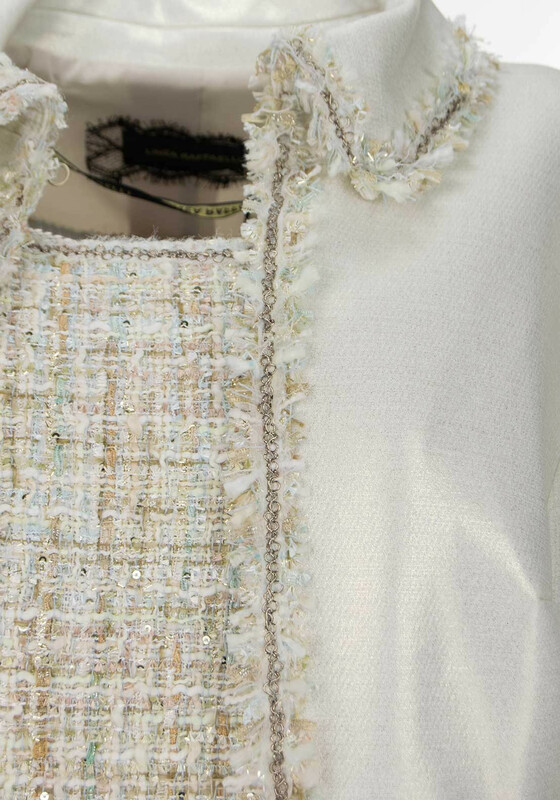 Made from luxurious boucle fabric with a mint green weave and sparkling sequin embellishment throughout. 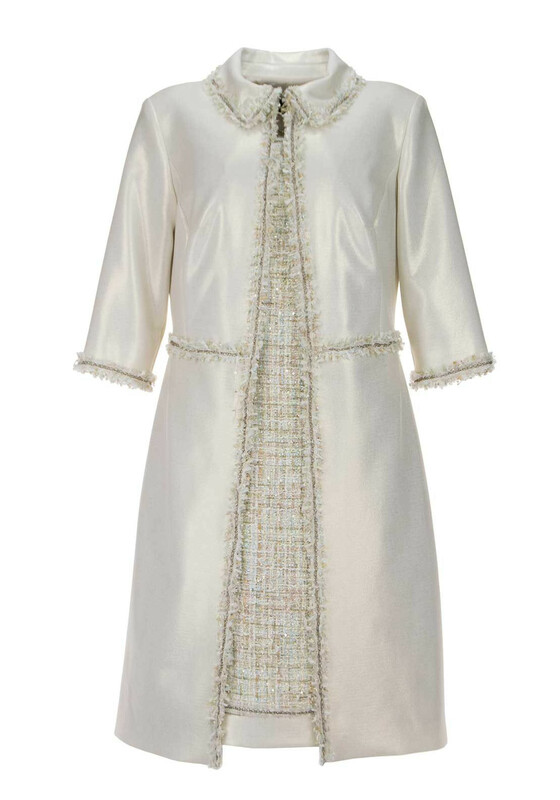 The cream coat has a metallic gold shimmer throughout with matching boucle trim at the waist, cropped sleeves and turn down collar. 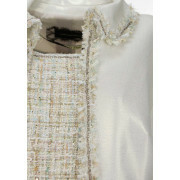 Fastens with a hook and eye at the neck. 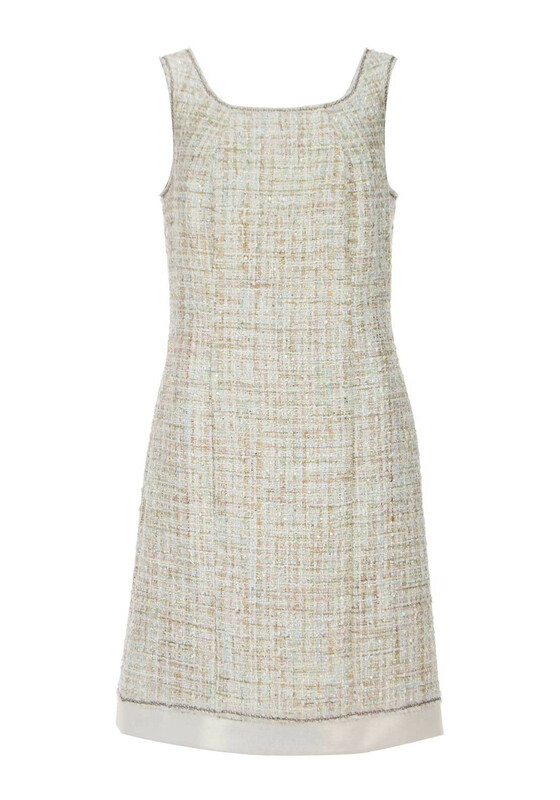 Length: Dress - 99cm approx. – knee length. Coat – 102cm approx.